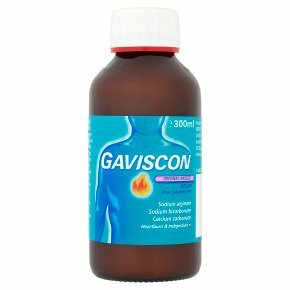 Heartburn & indigestion.Sodium alginate Sodium bicarbonate Calcium carbonate What is this product? Each 10ml of oral suspension contains 500mg sodium alginate, 267mg sodium bicarbonate and 160mg calcium carbonate as the active ingredients. This product is sugar free and gluten free. You can take this product if you are pregnant or breast feeding.